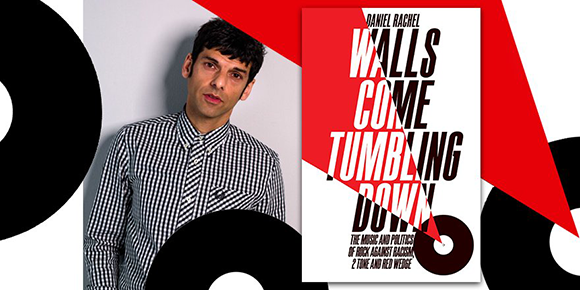 We're delighted that Daniel Rachel’s Walls Come Tumbling Down, has been awarded the Penderyn Music Book Prize 2017. Through the voices of campaigners, musicians, artists and politicians, Walls Come Tumbling Down charts the pivotal period between 1976 and 1992 that saw politics and pop music come together as never before to challenge racism, gender inequality and social and class divisions. The Penderyn Music Book Prize is the first UK-based prize specifically for music titles, including history, theory, biography or autobiography. The prize is awarded at the annual Laugharne Weekend and is sponsored by Penderyn Distillery. The prize is for UK published books only and was launched in 2015. Through the voices of campaigners, musicians, artists and politicians, Walls Come Tumbling Down follows the rise and fall of three key movements: Rock Against Racism, 2 Tone, and Red Wedge, revealing how they all shaped, and were shaped by, the music of a generation.